The menstrual cycle is about women’s energy and power; the power to be, to restore, to receive & to create. Throughout history different cultures attitudes towards menstruation and menstrual blood have varied. This has ranged from menstrual blood being viewed as sacred, healing and powerful, to being feared as dangerous and unclean. This is the basis upon which the Jewish tradition deems women ritually unclean and impure whilst menstruating. Menstrual taboos from the Greco-Roman culture feared that menstrual blood soured wine, made crops wither, caused fruit to fall off trees, and dulled the edge of steel, and so forth ~ that’s some power! 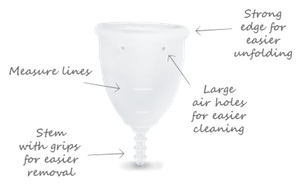 Today, in Western society, much of the language and attitude surrounding menstruation is negative such as referring to menstruation as the “curse.” Many women view their monthly bleeding as burdensome and inconvenient. That is until they want to become pregnant. Also our Western culture to a large degree suppresses and denies our fertility and femininity, and the menstrual cycle. In ancient traditional tribal cultures a girl’s entry into womanhood as symbolized by her first period is celebrated and honored. Apache Indian girls are sprinkled with pollen from the stamen of flowers, representing their blossoming fertility, and there is a four day long ceremony. This is somewhat different from the approach of being handed a pack of sanitary pads and being advised that the best form of contraception is to say “no”. This pretty much sums up the education we were both given as teenagers in the 1970’s / 80’s about menstruation and sexuality. The Dogon tribe in Africa have a special designated menstrual hut to go to. This is not because they are seen as unclean, but to give them the space to practice their special shamanic powers that are heightened during menstruation. The Native American Indian “moon lodge” had a similar purpose. Menstruation was considered a powerful time by the whole tribe for visioning and attaining guidance for the tribe. Hence, the Native American Indian saying, ” the fastest way to destroy a tribe is to first destroy the moon lodge.” Aboriginal women’s rituals around menarche and menstruation are based on fasting and developing their spiritual practices. Sadly this ancient knowledge and understanding of the spiritual power and connection of the menstrual cycle has not been passed down through the generations to the modern woman. This is truly a sacred time for a woman to tap into her feminine power, fertility, creativity and nurturing spirit. The menstrual cycle is about women’s energy and power; the power to be, to restore, to receive and to create. We have found through our own personal experience that it’s important to take the time to honour the first 2 days of our bleeding [moontime]. It is by resting and allowing our awareness to be drawn inwards that enables the richness of deep connection to strengthen our intuition, inspiration, creativity, feminine wisdom, internal guidance and spiritual awakening. During your moon time your physical energy will be lower, but your intuition and sensitivity will be heightened. Therefore it is a time for quiet reflection, to tap into your inner needs and knowing. This is why menstruation is a gift. Tribal cultures recognized this and created the time and space for ritual and spiritual practice. If you don’t do this you will drain the cellular energy reserves of your ovaries and adrenal glands. This will affect your fertility, hormonal balance, and ultimately how easy or difficult your transition through menopause is. Although symptoms such as PMS and period pain are associated with menstruation, they are not the same thing. Any menstrual distress you experience is your body showing you that things are out of balance. #1 – Keep yourself warm, especially your abdomen, lower back and feet. #2 – Go to bed early, especially on the first day of bleeding. #3 – You may like to spend time journaling, expressing your feelings and recording insights, inner messages and dreams. #4 – Spend time in nature and in meditation. #5 – Notice how you think and feel about your moonflow. #6 – Ask yourself if there is anything you need to let go of in your life in order to make space for the new? #7 – Make friends with your cycle ~ discover what you need: time out, a change of pace, support? If you would like to discover or deepen the connection to your menstrual cycle then feel free to consider our women’s workshops and retreats in Australia and Bali. We love to create sacred and safe spaces for women to explore the power of their feminine cycle. For further details, feel free to explore our website here.